A traditional apple with nutty taste. The flowers are produced early in the season, so you may not be able to rely on your neighbour's trees to pollinate it. 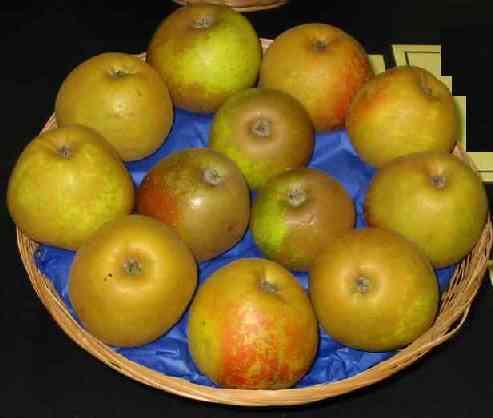 The best of the russet apples, although it is liable to diseases such as bitter pit, mildew and scab. Best avoided by those who want an easy-care tree.